The moment we entered 38 Barracks restaurant in the outer circle of Connaught Place, we noticed lots of collection of rifles. 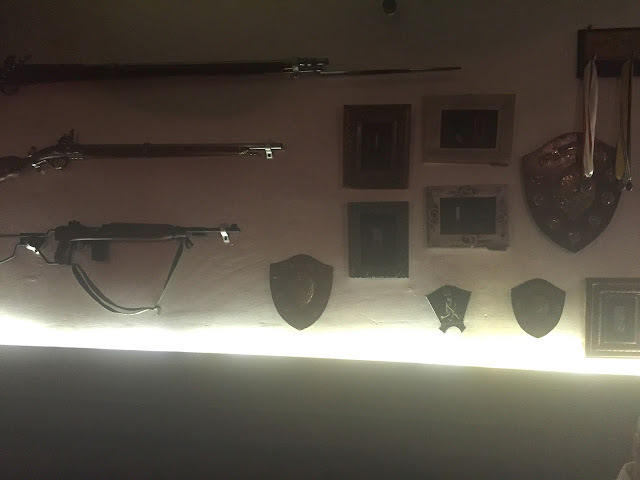 Our first comment was that probably the owner is fond of collection of rifles or is an ex army man. The place reflected lots of guns and rifles. We were not wrong. 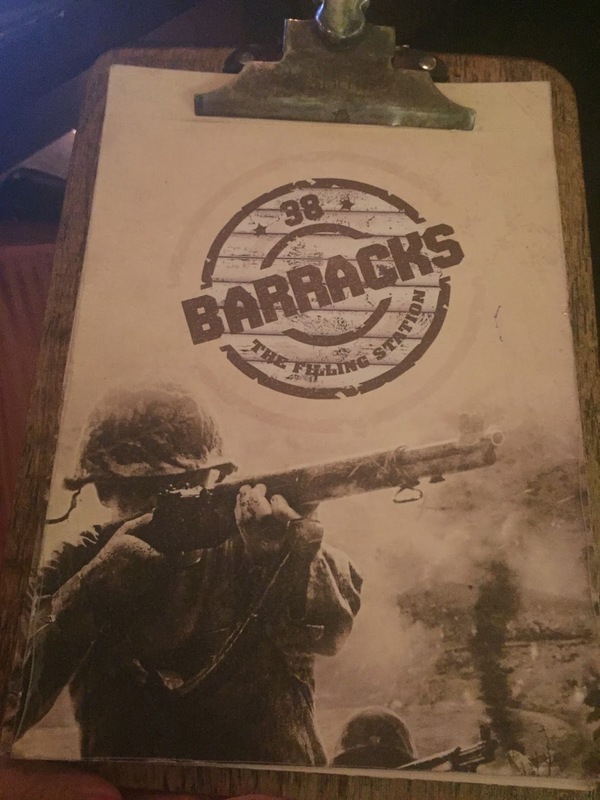 When we asked, we were told that this place is started by a person who has spent his entire life in military. 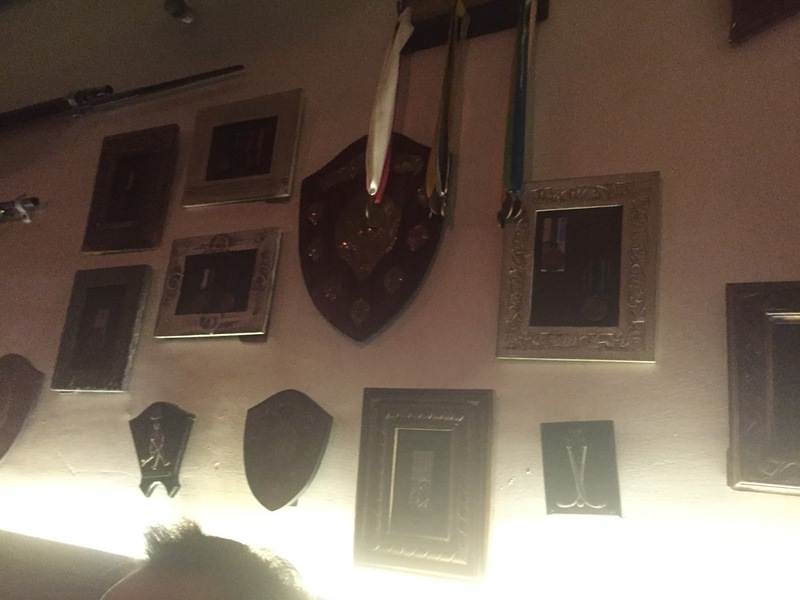 There were lots of picture frames on first floor wall. It is from his collection of personal pictures that he has shot and displayed. 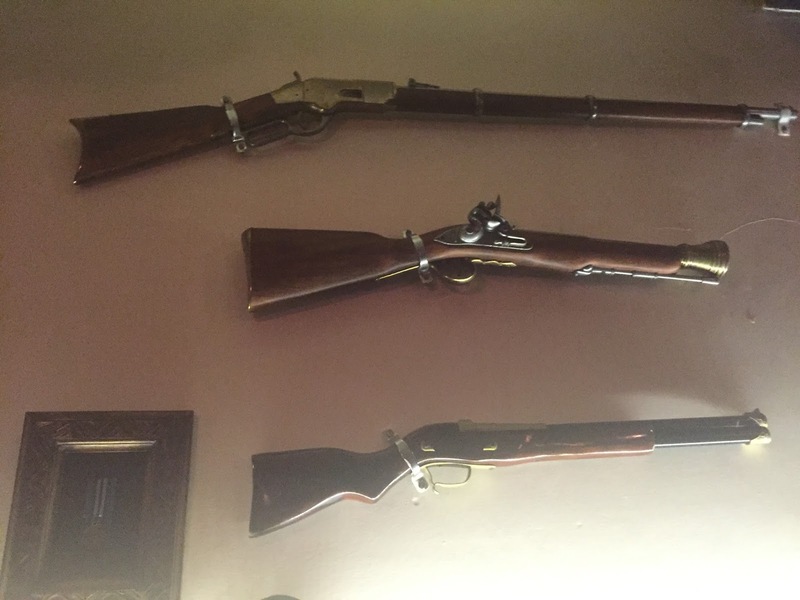 All weapons that he used in his life. He plays many games and rugby is one of them. Check my video that I posted on instagram here. Show some love by following me on instagram. 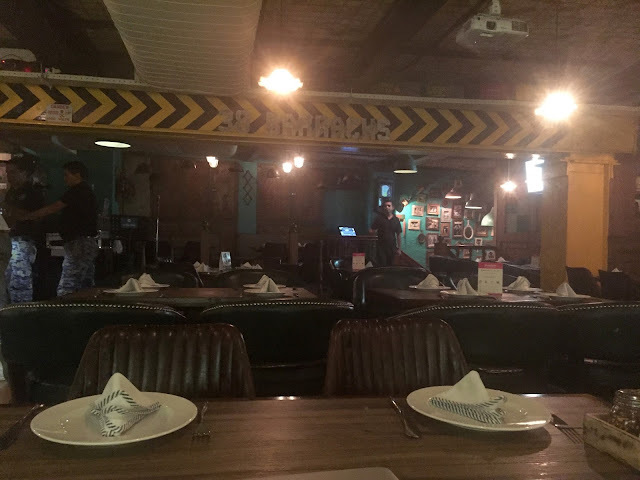 Restaurant divided in 2 sections- Ground floor is living area which is more relaxed and used for parties. First floor is restaurant.We noticed lots of variety in the menu. It was pretty widespread. We were served an appetiser- Amuf buch. It had cheese and a cube of watermelon. It was not a part of the menu. It helped to cleanse the palate. You will see it in my instagram video here. 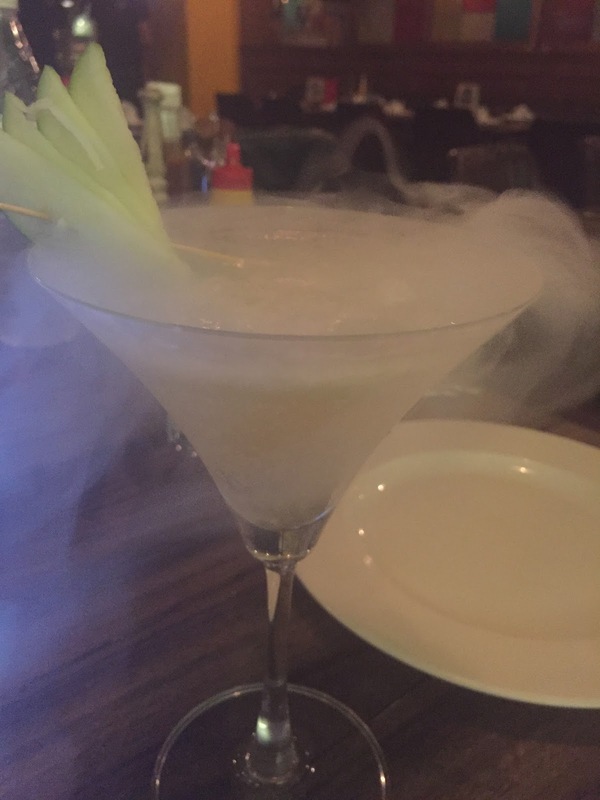 Next was Apple martini which was vodka based. 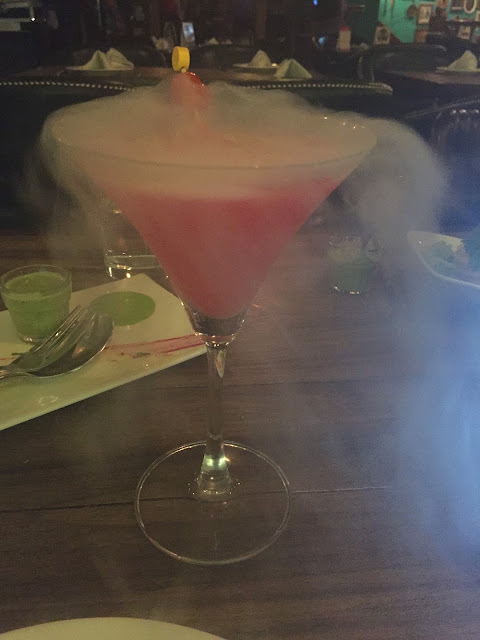 It was Flavoured tini, very strong. 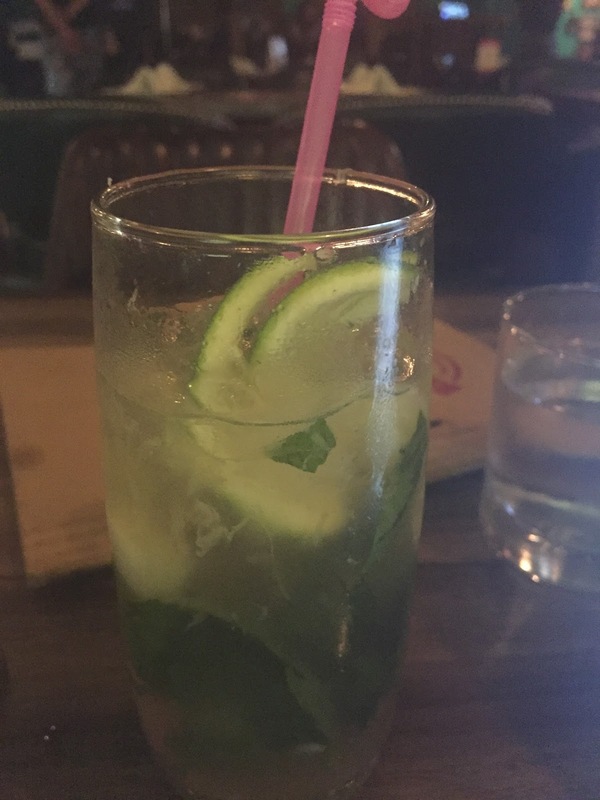 I had a mocktail named Hulk which was Soda, lime juice, basil, mint and lemon wedges. It was very refreshing. I would recommend having it. In fact, we asked for second helping of it. You can imagine, how much we liked it. The restaurant started in January. First it used to be Lido. Remember the place where cabaret used to be? Then it became Movida. 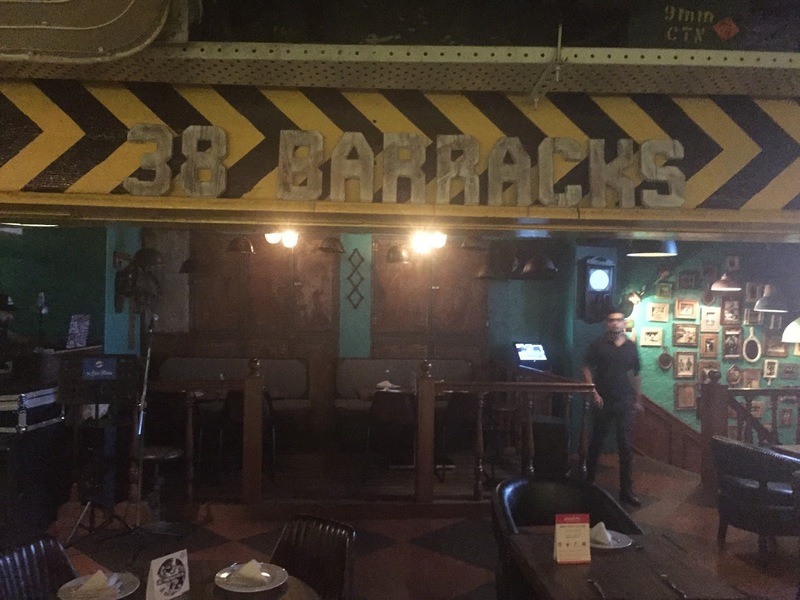 Now it is a new restaurant, by the name of 38 Barracks, brainchild of an ex army man. It has a stage with live band on Friday and Saturday. Normally they have guitarist and Dj. 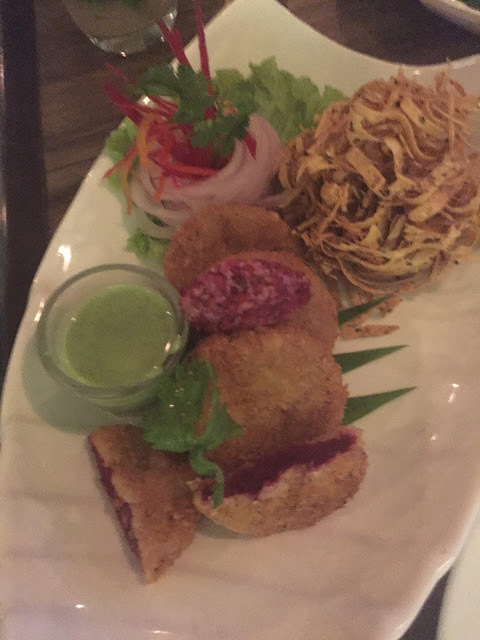 Our starters began with Soldier mirchi vada. 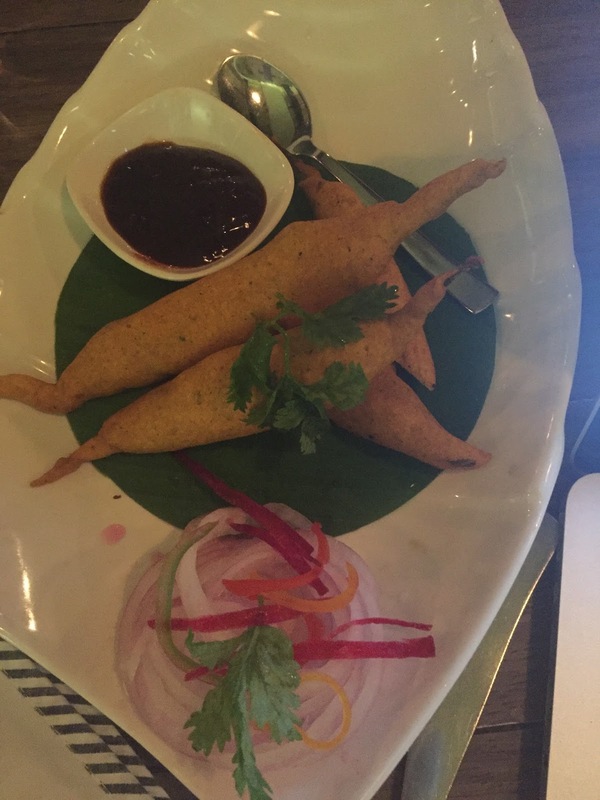 It is tangy potato filled with banana pepper served with spiced date chutney. It is priced at Rs. 245/-. It was too spicy for my taste buds but if you like spices, it was delicious. Next was beetroot galouti served with beetroot paste called Quenelle. It had a flavour of cinnamon. It was very nice. 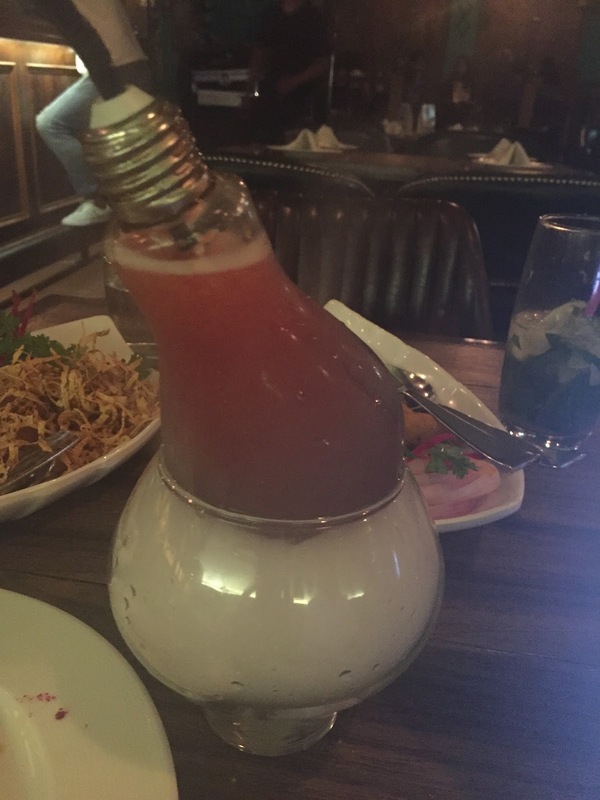 The presentation of each dish and drink was very unique and noteworthy. 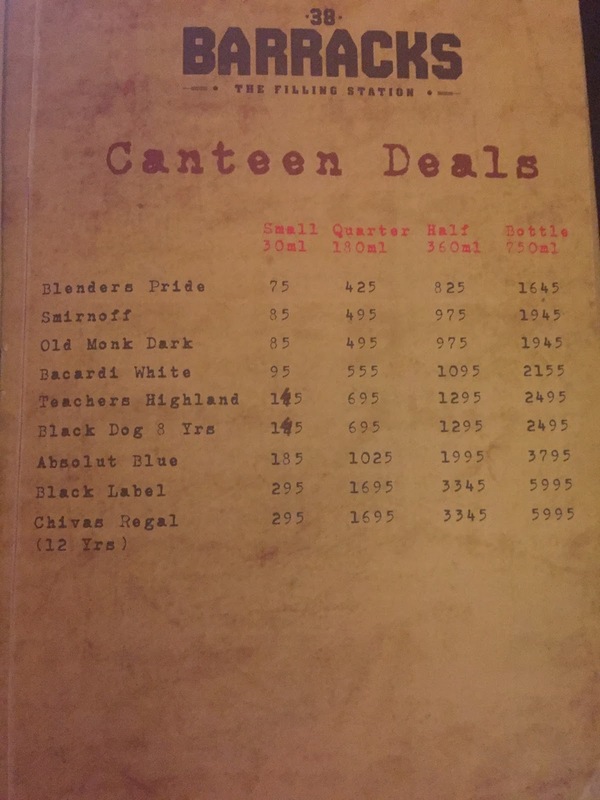 The prices are very reasonable as is with all the restaurants in Connaught place. I was next given a drink named Military camp. It had orange juice, peach, grenadine and lime juice. It came in a light bulb. The drink was fruity, fresh and nice. I do recommend this too. 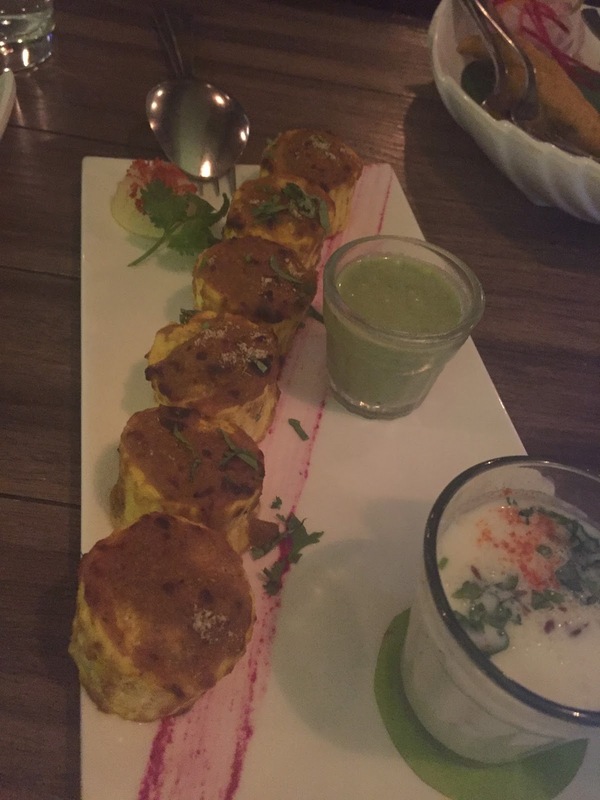 Another starter we had was Paneer tikka barrels. What a nice name and true to their name, it was not like a regular paneer tikka cube but shaped differently like barrels. Also it had nice filling inside of a paste of dry fruits. I liked this a lot. But it is a heavy dish. You cannot have too much. Or just one dish can be you full meal. 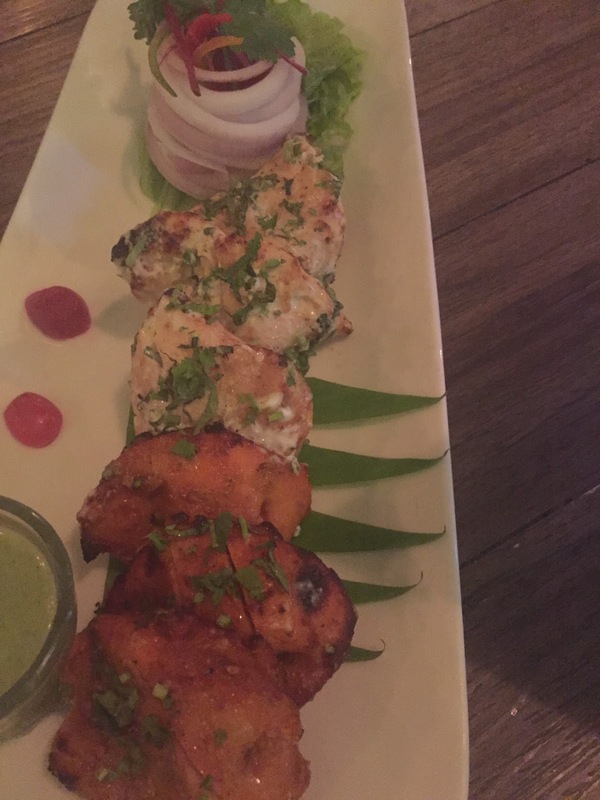 For non vegetarian, we were served chicken duet tikka (Rs.395/-). 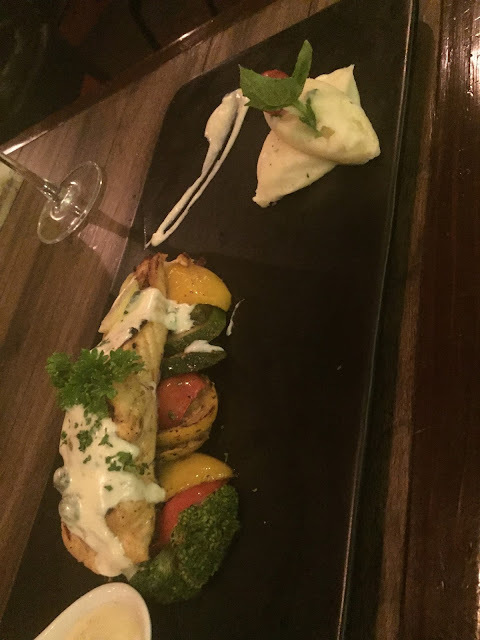 It is two different types of marinated chicken morsels, glazed in clay oven. Well this dish was very normal, every day chicken tikka. No great shakes. You make it at home and get it everywhere. Not recommending this. It was special. It was served with mint sauce. It is an Indian recipe that everyone can do. We were given Aviation cocktail which had gin, cherry liquor and lemon juice (Rs.495/-). Again nothing too great. We asked for Unilateral Salmon fish- (Rs. 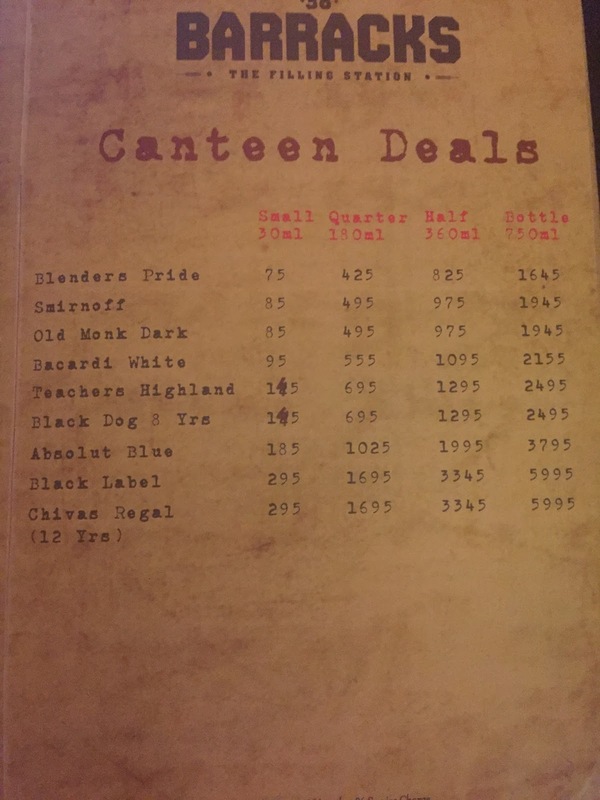 675/- ). This was something that I would recommend in the choice of non vegetarian. 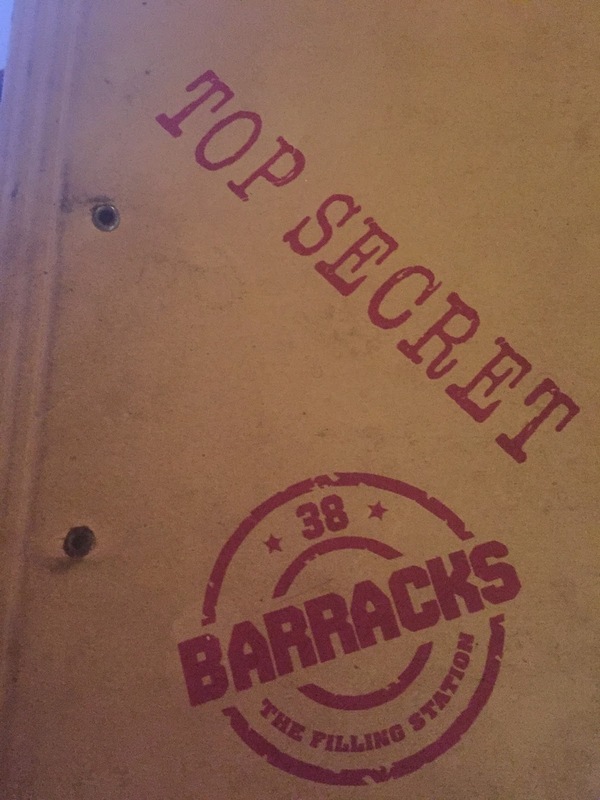 Overall the food seemed mediocre and not out of this world. But I must also add that being Tuesday, the whole restaurant was very crowded. In fact, it was fully packed. I could see happy customers. 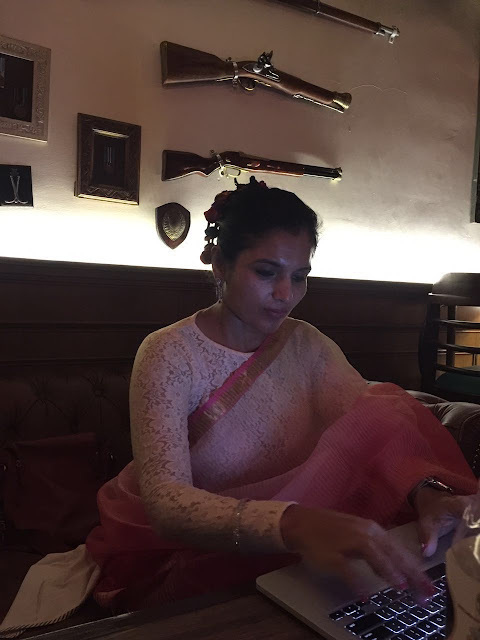 There were lots of families, bachelors, Birthday celebrations. Last but definitely not the least, I must add, there was awesome music with live guitarist. He was so good and was rendering most romantic music. The music added 5 stars to the whole evening. I can go back to the place, just to hear him play and sing. His music selection was so good that I could sit there whole night and listen to him. The young guy who was playing, is an amazing talent. His music and singing gave me goosebumps. 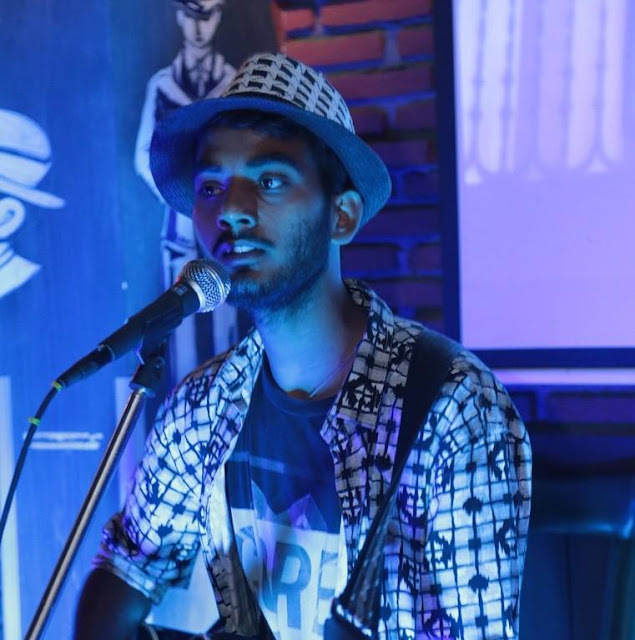 His name, I was told, is Ashish David. Service was bit slow but that gave us the chance to enjoy the music. Had the music not been so good, probably we would have felt it but the guitarist compensated for all. 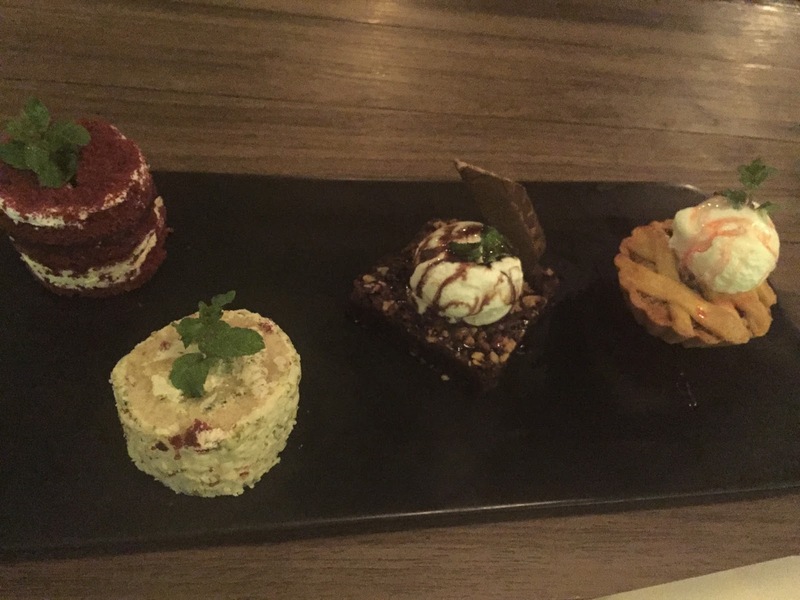 For desserts we had Baked rasgulla pie, chocolate walnut brownie, swiss pistachio roulade, red velvet cake. Desserts were really good. By the end, they made us happy. My overall impression: It is not a super fine dining or exotic place. 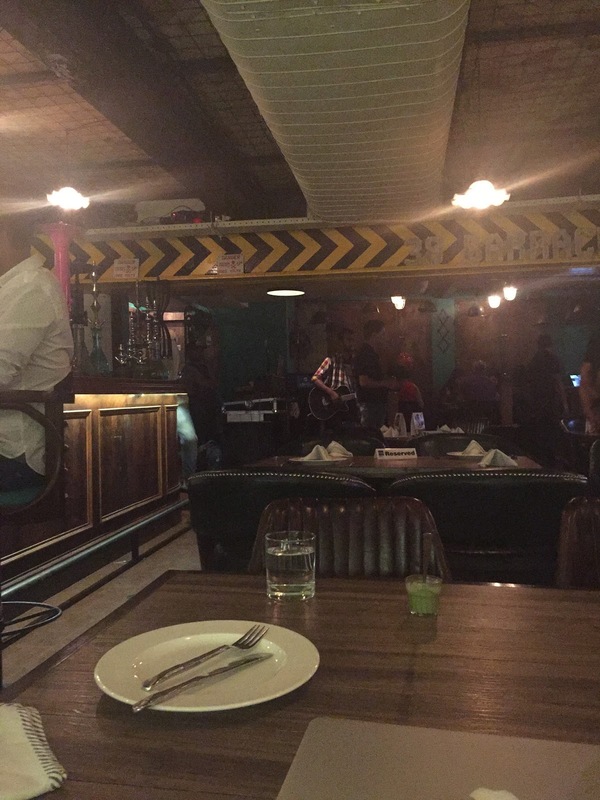 It is an average place in CP, to spend a chilled out evening that would certainly not burn hole in your pocket. 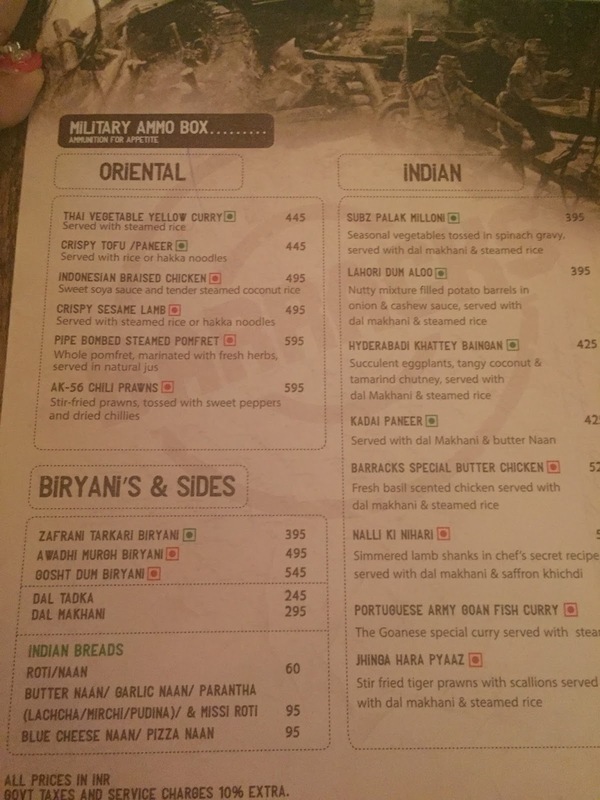 The food is not super great but definitely can be given a try. The music by Ashish David is the best. If I go back there again, it would definitely be for this guitarist and his singing. Below the blogger at work.